The Kitteh Newz: ALERT! ALERT! CONTEST TIME! Does anyone have the time? It seems my clock is broken! Oh, wait, I fixed it! Now let's see... Woah! I can't believe it! It's FUNNY PICTURE CONTEST TIME! I will be holding a Funny Picture Contest. Hooray! OMG! OMG! YOU ONLY HAVE 6 DAYS!!!! I'll let Mikey and Izzy explain the rest. M: Email Meowma (kittehnewz@gmail.com) a funny picture of your pet(s) and your Google user name. I: But wait! I don't have a pet! I: I DON'T KNOW ANYONE THAT I HAVE A PIC OF THEIR PET!!! And I've NEVER been to a zoo, and even if I had, I wouldn't have a camera, and I've never even been outside of MIW! M: Fine. Then find a picture on the internet. I: I don't have access to Meowma or Grameow's computers! So yeah. I think you get the point. Comment on this post if you DON'T get the point. P.S. There will be a 1st place, 2nd place, and 3rd place winner. Their Google user names (PLEASE BE SURE TO EMAIL YOUR GOOGLE ACCOUNT NAME!) and pictures will be displayed on the blog. Please notify me in your email if you would prefer not to have your pic displayed if you win. If you don't want your user name to be displayed, you can tell me your user name from another website, or make one up. 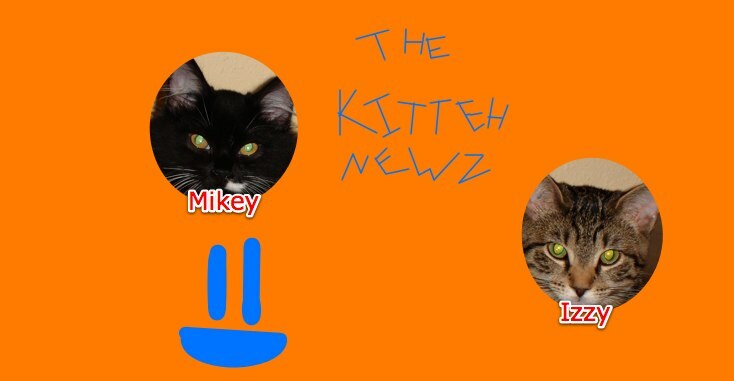 Remember: KITTEHNEWZ@GMAIL.COM! The dates seem to be wrong. The contest deadline has already passed.